LV= are your top insurance company, naming them “Best Insurance Company” and “Best Car Insurance Provider” 2016. With a rating of 4.54 on Smart Money People, Liverpool Victoria (LV=) was voted your “Best Insurance Company”. They also scored highly for car insurance too, with their 4.62 score earning them the title of “Best Car Insurance Provider”. Customers praised their “excellent levels of customer service”. You also voted Go Girl as your “Worst Insurance Company”, with a score of 2.65. Customers noted that Go Girl’s cancellation fees and admin charges were particularly high, something we covered in our fight against #CheekyCharges. It’s clear that there are some great insurance companies out there, and congratulations again to all our winners. But, it’s also clear that some insurance firms aren’t quite delivering for their customers. 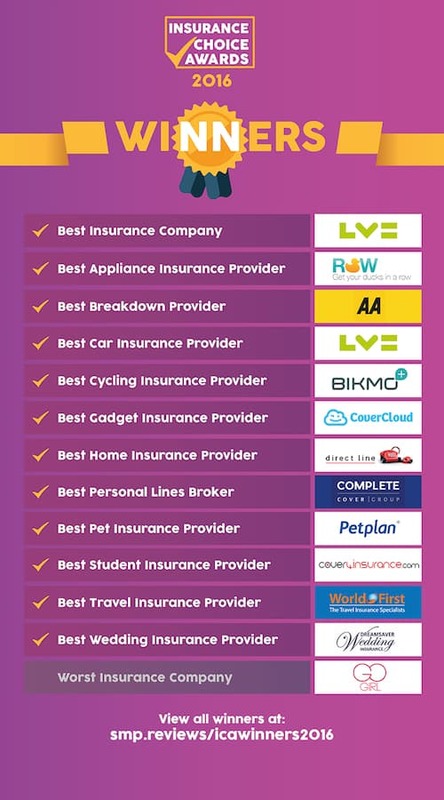 The Insurance Choice Awards are here to help find and celebrate the very best insurance firms. Winning an Insurance Choice Awards acts as a mark of customer excellence, and helps winners to attract more customers. Commenting on the announcement of the 2016 winners, Mike Fotis, founder of Smart Money People said, "Congratulations to all our winners. It's great to see so many customers satisfied with their insurance providers. We launched Smart Money People to help increase trust and transparency in financial services, and these awards help us to achieve this. 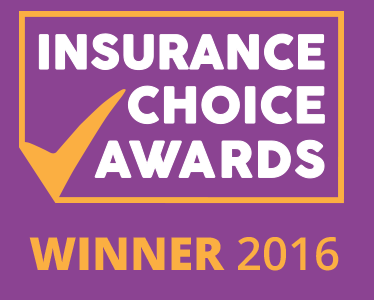 We look forward to bringing the Insurance Choice Awards back in 2017, and to making it the leading insurance awards campaign in the UK. Many thanks again to the thousands of UK consumers who voted in the awards! With your help, we’re changing financial services for the better. The Insurance Choice Awards will be back in 2017, so keep sharing your reviews and together we can help change financial services!